As a former cross-cultural worker, I loved partnering with churches and having the opportunity to personally share with the children about my ministry. Here are a few tips I’ve gathered over the years to help you get your kids focused on missions. 1. Pray for specific countries weekly or monthly and use a globe to teach kids where countries are located. Staff hint: Use Operation World for specific prayer requests and country information. 2. Pray for specific missionaries or programs your church supports. 3. Have students write letters or send emails to missionaries your church supports. 4. Bring a snack from the country your class is praying for that month. This can be homemade, or found at a local international market. 5. Invite teens and college students who have taken short-term mission trips to share their experiences with your students. 6. 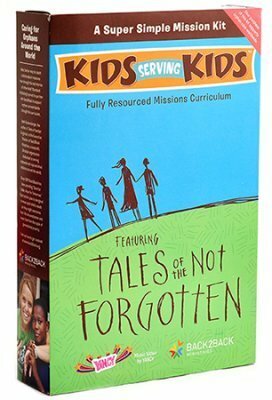 Read a portion of a missionary biography or other missionary story to students each week, like the Tales of the Not Forgotten series by Beth Guckenberger.